M-Pesa is the world’s largest mobile payment system and the one that has inspired many others. It’s a case study of how digital technologies are allowing a new kind of frugal, bottom-up innovation, which then leads to the creation of successful businesses. 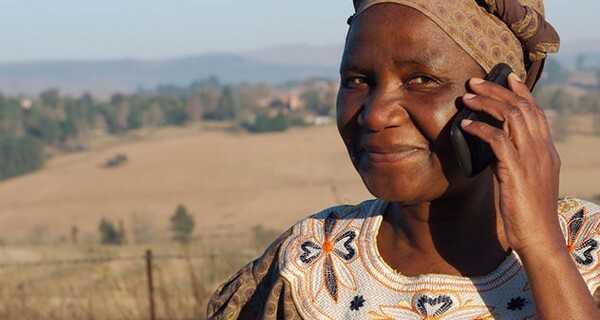 In the early 2000s researchers funded by the UK Department for International Development were documenting the burgeoning practice of people in Uganda, Botswana and Ghana to use excess mobile airtime as a proxy for money transfers. Local people would pass on unused airtime to friends or family, who would either use it or sell it on to others. The researchers approached the largest mobile network operator in Africa, Safaricom, a subsidiary of Vodafone and together they developed the M-Pesa money transfer system. The system allows users to deposit money into mobile-based accounts, send balance information through SMS to other users, and withdraw money – all without having a traditional bank account. M-Pesa, or “mobile money” in Swahili, has extended these basic financial capabilities to millions of people across Africa – 17 million accounts are currently registered in Kenya alone. By 2009, there, half of all households also reported that M-Pesa was one of their two most important savings instruments. It has allowed Kenya to create a bare-bones money-transfer and banking system without many banks or a high-end telecoms infastructure. Its success has led Safaricom to launch M-Shwari (shwari being Swahili for “calm”) – a micro-savings and loan system for M-Pesa customers. By the end of 2012, M-Shwari had been used to save $11.5 million, with $1.4 million given out in loans as small as 100 Kenyan shillings (around $1.50). The M-Pesa model, which started with people swapping air time informally, has since been copied around the world, from Easypaisa in Pakistan to Pingit in the UK.